Have You Seen Our Third-party Add-ons Page? Have you seen our Third-party Add-ons page? If not, check it out! We have a lot of talented people in our community, so we created a place where they (you) can show off the products they have created for Event Espresso. 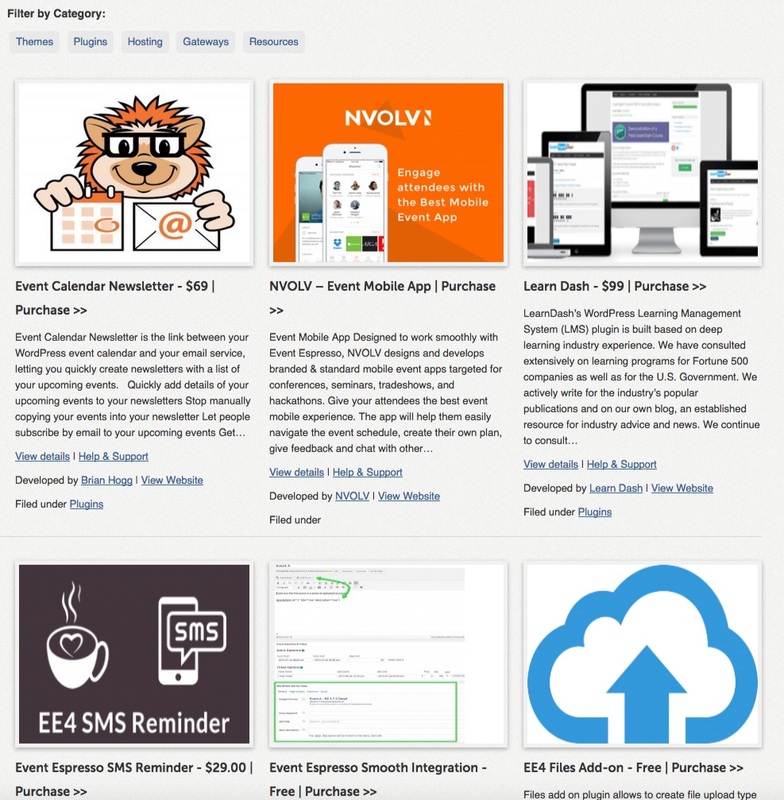 Our Third-party add-ons page is full of solutions like Video Tutorials, an SMS Reminders add-on, a Learn Dash integration add-on, as well as themes that work well with Event Espresso. If you are interested in adding your own plugin or theme to this page, you can fill out the application form here, and we will respond as quickly as possible.